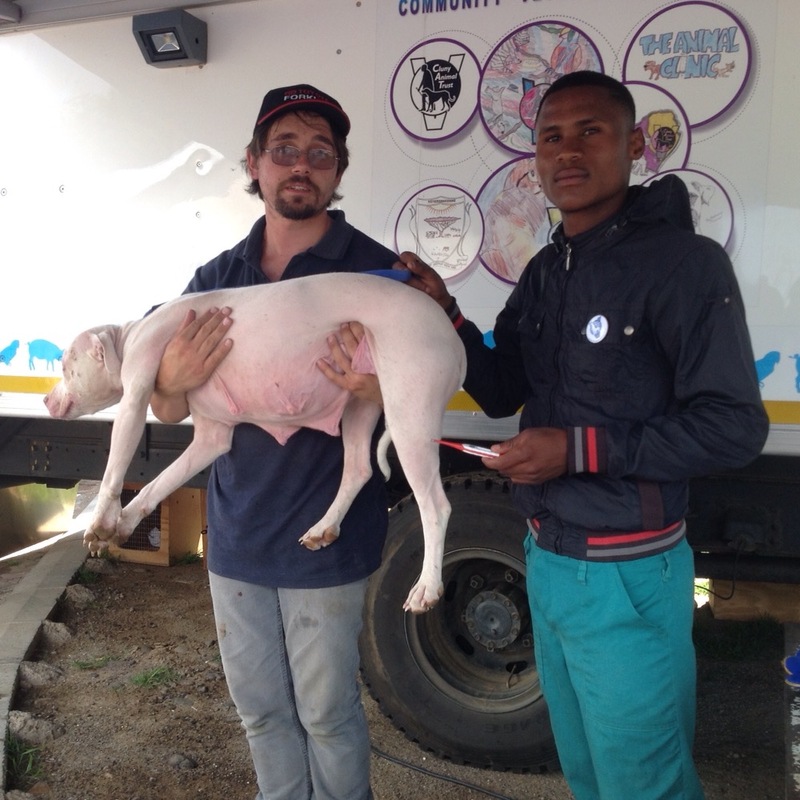 Maki Telane and Nicodemus Mahlohla, residents of QwaQwa, have become regular faces at the Cluny Animal Trust outreach clinics in Phuthaditjhaba. Each plays a vital role as assistant to Jan Sander, our Animal Welfare Assistant. During this year, 2016, Maki and Nicodemus, fresh out of school, turned up at the State Vet’s Office in Phuthaditjhaba, both expressing an interest in animals and hoping to find a way to gain access to careers that involved animals. The happy result of this initiative of theirs enabled them to start working on a part time basis with the Compulsory Community Vets stationed at the State Vet’s Office, where a general animal health clinic operates. This enabled both Maki and Nicodemus to gain some hands on experience with small animals, mostly dogs and cats, and their subsequent transition to the Cluny outreach programme was facilitated by the CCS vets. Maki’s role is to register the arrivals of clients and their animals at the clinics, to complete relevant forms, and to ensure that any criteria are met and the clients have an understanding of what to expect. 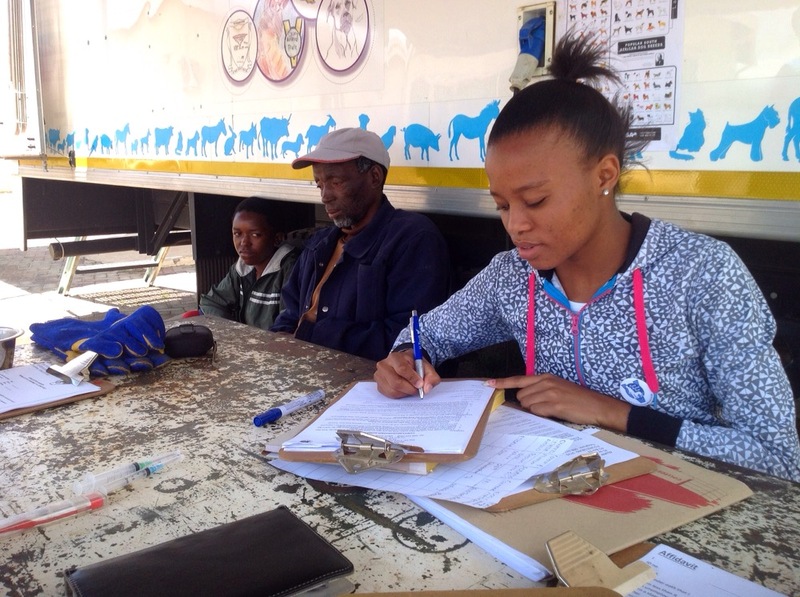 The focus at these clinics is largely on sterilizations and on vaccinations, especially for rabies, as QwaQwa has been experiencing a high level of rabies cases. Nicodemus directly assists Jan Sander. The work entails the handling of animals, especially dogs, and liaison with owners, often at the homes of owners in advance of their visit to the clinic. This is often rough work, as some of the dogs are large and aggressive and require skilled handling. Both Maki and Nicodemus live in Bluegumbosch, a settlement on the Harrismith side of Phuthaditjhaba, where they completed their schooling at the Seotlong Agricultural and Hotel School in 2015. They have both subsequently made application to study Agriculture and were required to upgrade their Maths, which they have been doing at the Tshiya Academy in Phuthaditjhaba. They now await their results. However, the good news is that in the interim both have been accepted at Agricultural Colleges. From 2017 Maki will be attending the Glen Agricultural College outside Bloemfontein and Nicodemus will go to the Taung Agricultural College near Vryburg in the North West Province. They are both delighted with the prospect of going away to College, but would like to continue to work with the animals in Phuthaditjhaba during their holidays. 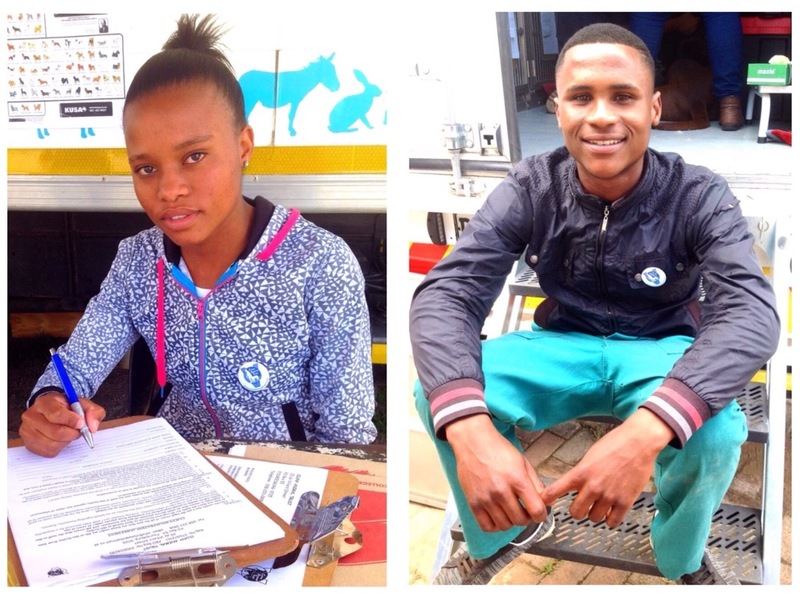 We wish to thank them for their contributions to the Cluny Animal Trust outreach programme in QwaQwa and we wish them much happiness and success in their future studies.